CALL NOW is an opportunity for you to ask a quick question or get feedback on a certain situation on-demand without going through the trouble and expense of booking a full appointment. When the “CLICK4ADVISOR” button on the right says “call me now for live advice” that means Julie is available to CALL NOW. If you’d like a reading from Julie and she is not available you can always click on the orange Book an Appointment button on the right hand side. What format are the readings done in? You can choose phone, instant chat or email. Click4Advisor is the service we use to enable our CALL NOW system. We pay for their technology to provide this CALL NOW service to our visitors. Once you click on the CALL NOW buttons, a small pop-up window will appear from Click4Advisor. The entire process is operated by Click4Advisor, including Registration and credit card transactions, so utilizing the CALL NOW program also provides you with privacy and anonymity — Julie does not have access to your personal identity (only your User name). If you are new, you must REGISTER with Click4Advisor. You only need to do this once. Just click on the “Click4Advisor” button on this website. A pop up window opens. Click on “new callers click to register” button. Fill out the form to Register. It’s easy, fast and simple. What we love about the Click4Advisor CALL NOW system is that you initially set your budget for readings so you will not spend more than you can afford. The system will prompt you to add more money when your budget gets low during a reading (when one minute is left), but later it will stop the reading once you’ve spent your budget (for your protection). Minutes will not be charged for the time spent adding money during the call. Once I’m registered how do I use CALL NOW? Once registered (and after you’ve made a deposit to your account), you can use CALL NOW in two ways. Remember you can only use CALL NOW if Julie is “available” in which case the “Click4Advisor” button will say: Call me now for live advice. 1. Click on the “Click4Advisor” button that says “Call me now for live advice”. After the pop-up window opens, type in your Username, password and phone number. Then click on the “Call on Phone” button within the same pop-up window. Click4Advisor’s computerized system will automatically call you (on the phone number you entered). After you hear a voice prompt on your telephone, you’ll be connected to Julie for a psychic or psychic medium reading. You have 30 seconds with Julie before you begin getting charged (to protect you in the rare case that you get a voice mail message instead of Julie live). 2. 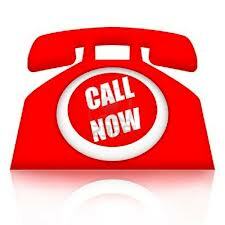 Dial into the automated system direct: 1-888-626-7386 for U.S. & Canada; 1-510-897-1288 for international calls. There is no extra cost to dial in direct. How much does CALL NOW cost? Cost varies depending on time, day of the week, holidays and whether or not there is a special going. Readings will run anywhere from $1.99 – $6.66 or more. Be sure to sign up for our Facebook page and Email list for specials. The minimum amount of time you can sign up for is 3 minutes. Yes, what I love about the program “Click4Advisor” is that this company handles all credit card information and payment processing. So essentially you pay “click4advisor” with an online payment and then they pay me once a week. How do I get an Instant CHAT reading? Register if you are new (follow instructions above. Click on the “Click4Advisor” button. Once the pop up window opens be sure to make a deposit to your account by clicking on the “Add Money $” button. Wait for Julie to accept (you are not charged while waiting). The first minute after they accept is free. Can I use this program if I live outside Canada or the U.S.? Julie is an International Psychic Medium and does allow callers from outside the U.S. to call her. You will find your country listed in the Pop-Up Page. If you do not see your country listed but are interested in talking to Julie, we suggest contacting her through the CONTACT US tab to let her know your country is not enabled. Yes, all your information is safe. Your name, telephone number, email address, and billing information are protected because they are never revealed to Julie Geigle or Heaven Sent Healing. The only information displayed is your Username and the only way they can contact you is through the Click4Advisor Message Center. What happens if I call, but get an answering machine or otherwise cannot reach Julie? Am I charged? In order to prevent accidental charges due to Julie’s inaccessibility specifically during times of advertised availability (she may forget to log off as Available), Click4Advisor utilizes a 30-Second Buffer Zone. The Buffer Zone allows you to be connected to her phone line for up to 30 seconds without being charged. This also covers the unlikely case when you might get a a wrong number (the wrong phone number) and have to discontinue the call. In this case, as long as you hang up within 30 seconds, you will not be charged for the call. What is ‘Request An Immediate Callback’ (seen on pop-up window) and how does it work? If you are trying to reach Julie and receive a busy or unavailable, you can ‘Request An Immediate Callback’ and get connected the moment she becomes available again. This saves you the hassle of having to continuously check to see if she is free. There are two ways you can ‘Request A Callback’. The first is online by clicking the ‘Request An Immediate Callback’ from her in the pop-up window, filling out the request form, and submitting it. The second is by calling the Dial-In service and following the voice prompts. How can I email Julie for an Instant Email Reading? You can email Julie by logging into your User account or by clicking on the ‘Email to Advisor’ link in the Click4Advisor pop up window, which will direct you to your User account. Go into the Message Center section and click on Create New Message. Enter her name and submit your message when done. How do I leave feedback for Julie? I truly appreciate feedback through the click4advisor program or email – it helps with my credibility and ranking as a psychic medium. Click on the Feedback link that is in the pop-up window display once you connect to the call. On the far right of the display, there is a ‘Feedback’ column. If you have not provided feedback yet for your chosen transaction, then the entry will read ‘waiting’. Click on ‘waiting’ and then enter your feedback. When you have completed your feedback, the entry in the Feedback column of the display will read ‘submitted’. Users can only submit feedback with respect to calls that have resulted in a valid transaction. PLEASE NOTE: Click4advisor only allows you to leave feedback within 7 calendar days of the transaction. Login to your User Web Interface or call 1-888-626-7386 to make a deposit to your account. You also have the option to add money during a call with an advisor. When there is one minute remaining, a voice prompt will ask you to press 1 to add more money to continue the call. Minutes will not be charged for the time spent adding money during the call. How can I view my history of deposits and call activity? For history of call activities, go into your Usage Transaction section to see a complete listing of details for each transaction made. The details will list the time and date the call was made, the name of the advisor you called, the minutes spent talking, and the amount debited from your account balance. How do I contact Click4Advisor support? Support contact info is at the bottom of page. You should contact Click4Advisor for any credit card issues or chargeback requests. This service is provided for entertainment purposes only and no guarantees are implied or stated and no refunds. Clients must be 18 years or older to book, receive and/or purchase a reading, product or service. Readings are not substitutes for professional, legal, financial, medical, or psychiatric advice or care. Clients are encouraged to please seek the advice of a trained Medical Doctor about any health concerns. ALL readings, products, and services content are subject to the client’s interpretation.